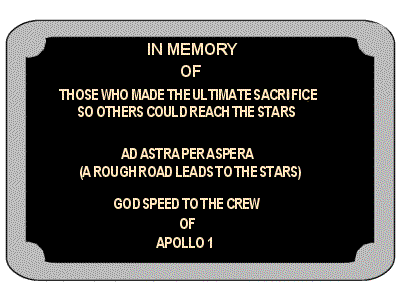 It was the words that froze the NASA flight controllers in their seats, “Fire!¦we’ve got a fire in the cockpit.” 50 years ago, January 27, 1967, three Apollo astronauts lost their lives in a fire on the launch pad at Cape Kenned’s Launch Complex 34 in Florida. 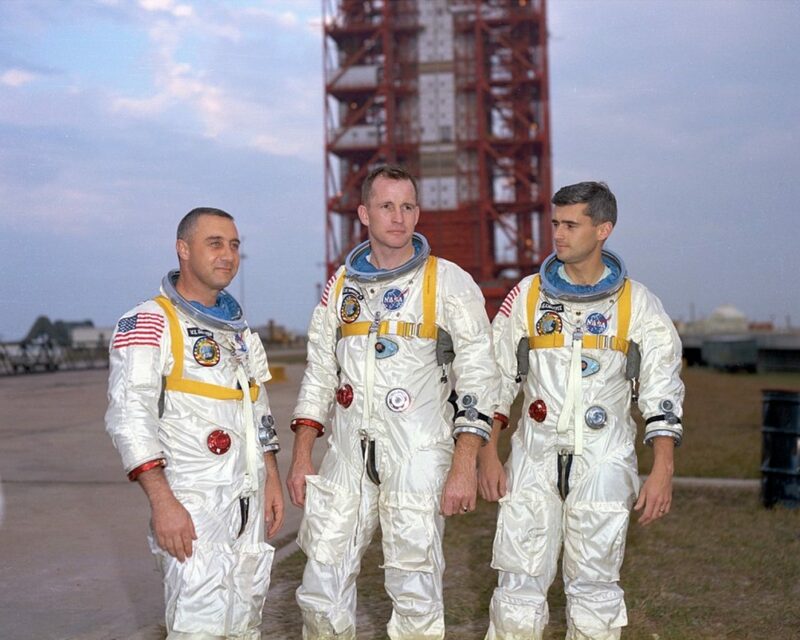 Virgil “Gus” Grissom, Edward White II, and Roger Chafee perished during a “plugs-out” test that was to simulate the launching of the new Saturn rocket-the beginning of the final phase of the space program that would place man on the Moon. NASA was racing to meet President Kennedy’s 1961 challenge to have men on the Moon by the end of the decade. Grissom was a NASA veteran, one of the original seven astronauts and pilot on the Gemini 3 mission. He would be the first to have flown in all three programs-Mercury, Gemini, and Apollo. Edward White had been among the second group of astronauts (called the “new nine”) added to increase the number of qualified spacemen. He was the first American to walk in space (during Gemini 4), testing out systems that would enable exploration of the moon. Roger Chafee, a rookie, rounded out the crew. All three were highly trained and regarded. 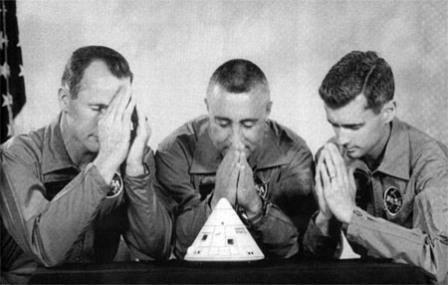 Grissom and White were Air Force pilots (White had graduated from the US Military Academy at West Point) and Chaffee, who was part of the third group of astronauts) was a Navy aviator with a passionate about flying and a high aptitude for science and engineering. The testing on that January afternoon was full of problems. One of those was the communications system that kept breaking down. Grissom vented his frustration to the flight controllers, “I said, how are we gonna get to the Moon if we can’t talk between two or three buildings?” At 6:30 pm following several delays, at t-minus 10 minutes, the fire broke out. In the 100% oxygen atmosphere the fire spread quickly releasing toxic fumes that asphyxiated the three men as they struggled to get out of the spacecraft. 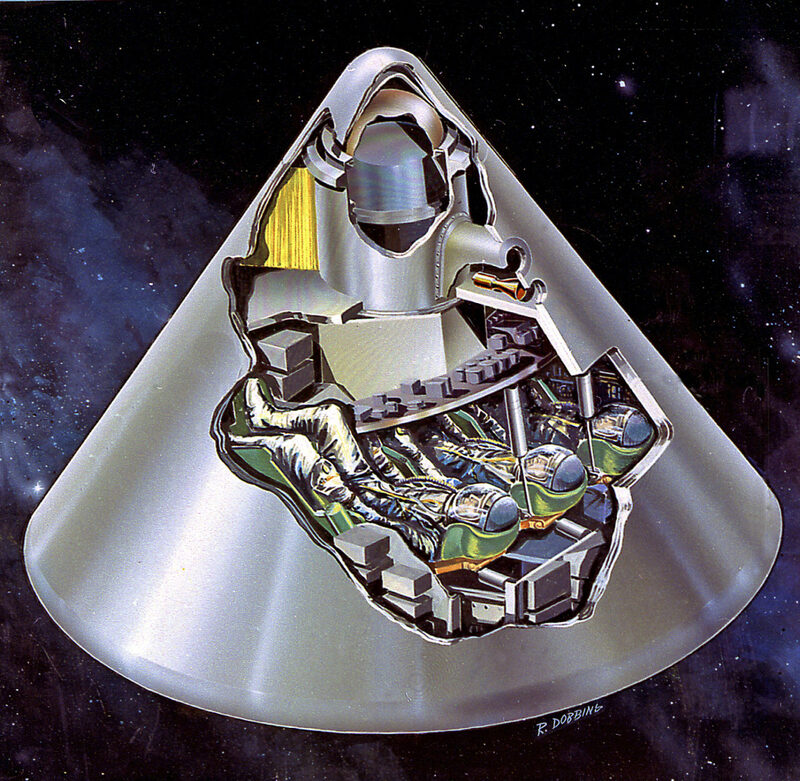 The fire’s ignition source was never determined, but their deaths were attributed to a wide range of lethal hazards in the early Apollo Command Module design and workmanship and conditions of the test, including the highly pressurized 100% oxygen pre-launch atmosphere, many wiring and plumbing flaws, flammable materials used in the cockpit and the astronauts’ flight suits, and a hatch which could not be quickly opened in an emergency. After the incident, these problems were fixed, and the Apollo program carried on successfully to reach its objective of landing men on the Moon. Gus Grissom and Roger Chaffee were buried with full military honors at Arlington National Cemetery. They rest side by side in Section 11 not far from the grave of First Lieutenant Thomas Selfridge, the first military officer to die in the crash of a powered airplane on a demonstration flight piloted by Orville Wright. That accident happened at Fort Myer 59 years before the Apollo fire. It is interesting to note that Chaffee’s friend and fellow astronaut, Gene Cernan escorted Chaffee’s widow, Martha, at the Arlington funeral. Cernan, who was the last man to walk on the moon, passed away on January 16th. Edward White was buried with full military honors at West Point Cemetery on the grounds of the United States Military Academy in West Point, New York. Here is the funeral services for the astronauts. Hearings were held to investigate the tragedy and assign blame for it. During the Congressional investigation, then-Senator Walter Mondale publicly revealed a NASA internal document citing problems with prime Apollo contractor North American Aviation, which became known as the “Phillips Report.” This disclosure embarrassed NASA Administrator James E. Webb, who was unaware of the document’s existence, and attracted controversy to the Apollo program. Despite congressional displeasure at NASA’s lack of openness, both congressional committees ruled that the issues raised in the report had no bearing on the accident. In the end, the program went on and two years and six months later Neil Armstrong would fulfill the vision of President Kennedy. In the HBO series, the hearing centers around the testimony of Frank Borman, who would go on to command the Apollo 8 mission, and his description of the final moments of Apollo 1. This entry was posted on Friday, January 27th, 2017 at 1:10 am	and is filed under History of Taps. You can follow any responses to this entry through the RSS 2.0 feed. You can leave a response, or trackback from your own site.